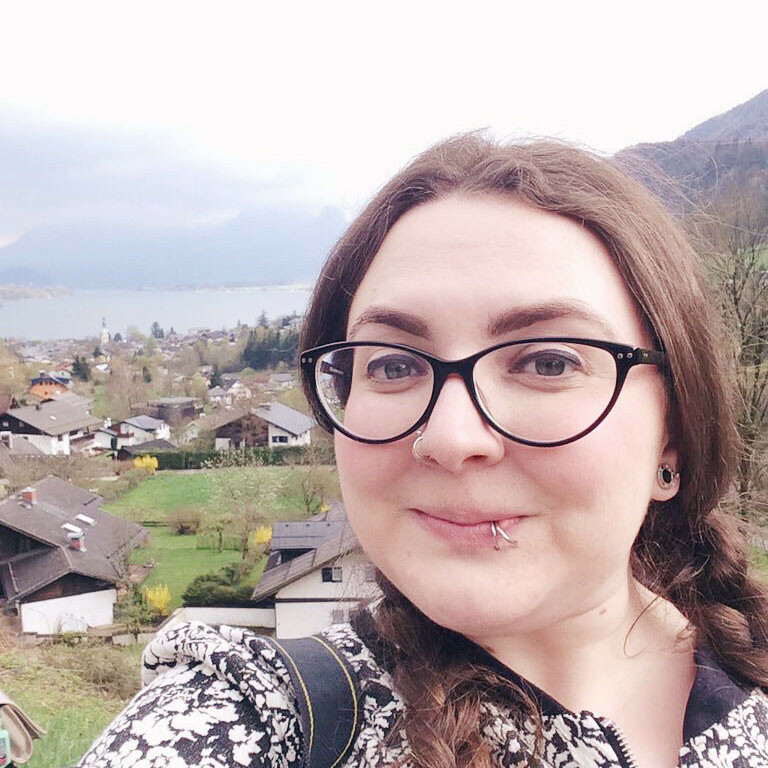 My hair is naturally really curly (as this post shows) and it gets very dry and frizzy. I'm trying not to wash my hair too often and let the natural oils tame the frizz. However, I don't want it getting yukky and smelly, so I hunted down a dry shampoo in Lush. Where else? Now, I'm used to Batiste, which is just spray, scrub and go, so I was a little unsure of the best way to apply this. In the end, I found this really helpful YouTube demo which was a huge help! In the video, the packaging has a really inconvenient lid. Luckily, Lush seem to have changed that now and it's easy to tip into the hand or straight onto the roots. The consistency is really powdery. The main ingredient is cornflour, which does seem like a strange thing to put in your hair at first! However, this is good at absorbing excess oil to stop the roots going greasy. It smells amazing! With grapefruit and lime, it's got a really fresh, zingy fragrance. I did find that it made my hair grey, so it's probably best to use this in the evening rather than the morning. When we tried it on Rich's hair, though, it was invisible. Maybe it reacts differently to different types of hair, or maybe I just need more practise. I definitely prefer this to Batiste. It smells a lot nicer, it feels more substantial and it's a lot kinder to the world. I switched to this after using Batiste for ages and it does take a bit of getting used to! I find applying more than I think I need is essential and I also apply it to my hand and then smoosh it into my roots as sprinkling it onto my head from the bottle causes it to get everywhere. If you agitate your roots/hair enough after applying it, the grey/white colour should go away and it'll become invisible. It's definitely better for the environment than Batiste and it smells amazing, although I must admit I still opt for the spray can when travelling as it's more convenient. I have blonde hair, so it may work better on mine! I love Lush, I've been getting more and more into their products since last summer. I've been using the same dry shampoo for a few months and I love it. Very fresh smelly and gives your hair a bit of 'body' too. I'm sorely tempted to try this, I'm just terrified of the mess! Haha I love my Batiste but I do worry about the environmental impact it has. I'll have to have a watch of the YouTube video - thanks for linking! I've never used a dry shampoo, but have been wanting to. I love Lush products and the description sounds really yummy smelling! I've been told that dry shampoo "shows up" more in dark hair, which is unfortunate for me...but I still want to try it out! I love lush, but I prefer sprays than powders, personally. The mess isn't worth the price, or the hair. But, I bet it smells great! I'm teaming up with a talented blogger to give away 5 free personalized graphics for your blog! Enter the giveaway here>! I bought this the other day too! 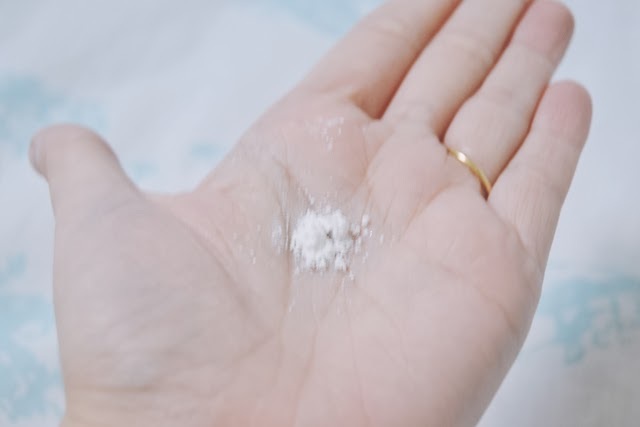 I'm one of the few that prefer powder to sprays with dry shampoo (I just can't stand the smell nor the weird over drying effect spray dry shampoos give me :( ). No Drought definitely smells amazing and no disgusting textures - just clean! 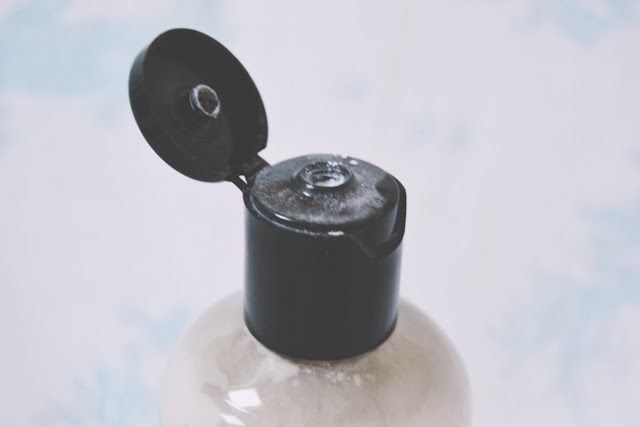 hmm this has actually made me think and you're right, those batiste cans aren't environmentally friendly - lets all go get out those old musty boxes of cornflour from the cupboards! Thanks- I have the same type of hair and it drives me crazy! Definitely need to hunt this down. I will be honest I've quite frequently rubbed talc into my hair so I can only see buying this as a natural progression haha. 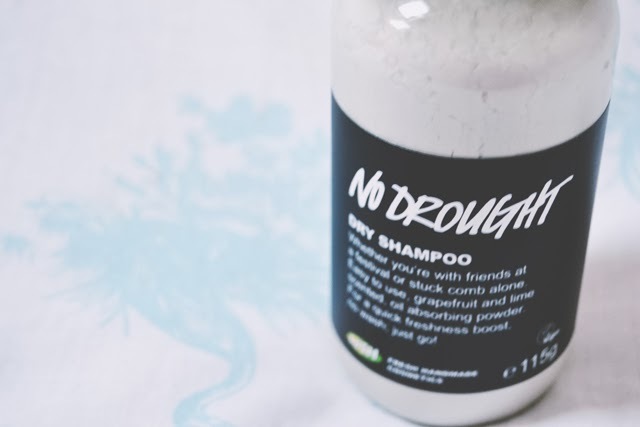 I've been looking for a new dry shampoo to bring me away from Batiste and this sounds amazing, I love a good zingy smell too!